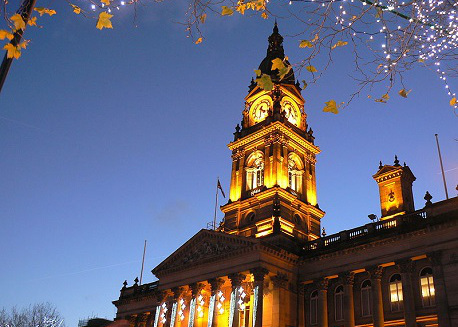 Bolton is located in the North West of England and the town has a vibrant multicultural society that is popular with students. 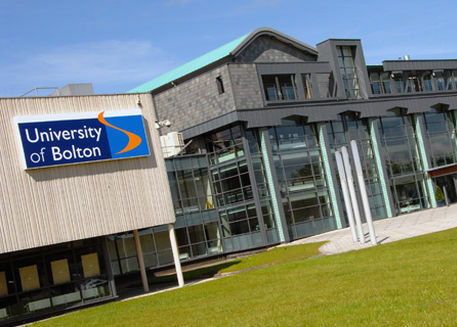 The University of Bolton has around 11,000 students and offers many higher education courses for students to further their education and enhance their potential. In recent years, Bolton has become a place that has grown in popularity and the growth and redevelopment of the university has proved this with UK students and International student numbers all increasing. As the university has continued to improve and go from strength to strength it has enabled investors to really pinpoint this area as one that has potential when it comes to purchasing student property. The University of Bolton works hard at offering courses in many different areas and this gives students the opportunity to study in a city that is packed with history and potential. With courses ranging from sports to computer design to first class laboratories, Bolton University has really made a name for itself and it continues to grow and thrive. The town has a strong sense of history and a huge heritage that is backed by its passion which is why it is one of the best student destinations in the North West. Studying at the University of Bolton is more attractive than ever before. Bolton is a traditional North West industrial based area but is doing all it can to become something more. The town centre is undergoing a large regeneration project that will give the town a modern and smart look that will appeal to more students. New shop fronts and street paving will transform the look of the town and give it a more uniform and cleaner look whilst the new transport interchange will make it even easier for students to travel to classes and move around the town to keep up with their social lives. Bolton has some stunning canals, plenty of museums and parks for students to appreciate. As the University has continued to attract more students, this has meant that the demand for property has increased which means that it is now becoming a very lucrative for investors in recent years. Student developments such as The Pack Horse and the Bank are available to students but demand is outstripping supply and more students are now looking for accommodation that is of a higher quality than ever before and the demand is likely to continue. If you are considering student property investment in Bolton then it is important that the perfect location is chosen that makes it simple for students to access everything that Bolton has to offer and more importantly, they can travel to University easily. Currently only 7% of students in Bolton live in private rental accommodation which means that there is plenty of scope for investors to target more students. The University of Bolton can trace its origins back to the Bolton Mechanics Institute in 1824, though the university we know today didn't begin to take place until 1992. A merger of two further education colleges in 1982 formed a single body, which was given the right to award taught degrees in 1992 and research degrees in 1995. The University of Bolton was fully recognised with university status in 2004 and has since become a large part of the city and regional area. The University of Bolton is based on a single campus on Deane Street in Bolton, less than a mile from the city centre. Taking around 5 minutes to walk from the campus, where the halls of residences are based, into the city itself; Bolton enjoys a close relationship with its sole university. Less than half hour from Manchester, the University of Bolton is well serviced by the M60/M62 motorway and is linked to the rest of the UK by both rail and coach stations in the city. Local travel is operated through a number of bus operators and the city is serviced by Manchester Airport, which is just over 20 miles away. Journey around England is made easier by the excellent road links, with London being just 3.5 hours away, Birmingham 1.5 hours and Liverpool 45 minutes. The University of Bolton also has a campus in the UAE, at Ras al-Khaimah and in Sri Lanka at Colombo. The University of Bolton is widely regarded as a 'regional' institution, rather than solely a city base. Around 75% of all students in attendance at the university come from the North West region, which means that almost 7,000 of 9,000 total students are local to the area. The university has a healthy mix of part-time undergraduates (2,000) and receives up to 5 applications per place granted. The low house prices around the city allow for heavy student property investment in the area, which caters for most of the 15% foreign undergraduates studying at the university. Almost 70% of all students will see their degrees through to the end and almost half of those will graduate with a 2:1 or above. The University of Bolton is deeply rooted in the manufacturing origins of the North West region, with pioneering links with both industries and businesses in the area. Research quality is outstanding across a number of fields, whilst healthy relationships with international organisations make for excellent graduate prospects. Among subjects ranked in the top 25 in the United Kingdom include Aeronautical & Manufacturing Engineering, Land & Property Management and Sociology.